Putting together this kit is such a fun idea. I gave this one to my Mom-in-law and it was a hit. She is a champ at writing heartfelt cards, especially on birthdays, so this gift was right up her alley. If you have someone like that maybe this could be a hit for you too! Here is what I included. It's easy, simple and thoughtful. You could also throw in some colored pens, Sharpies or personalized stationary. 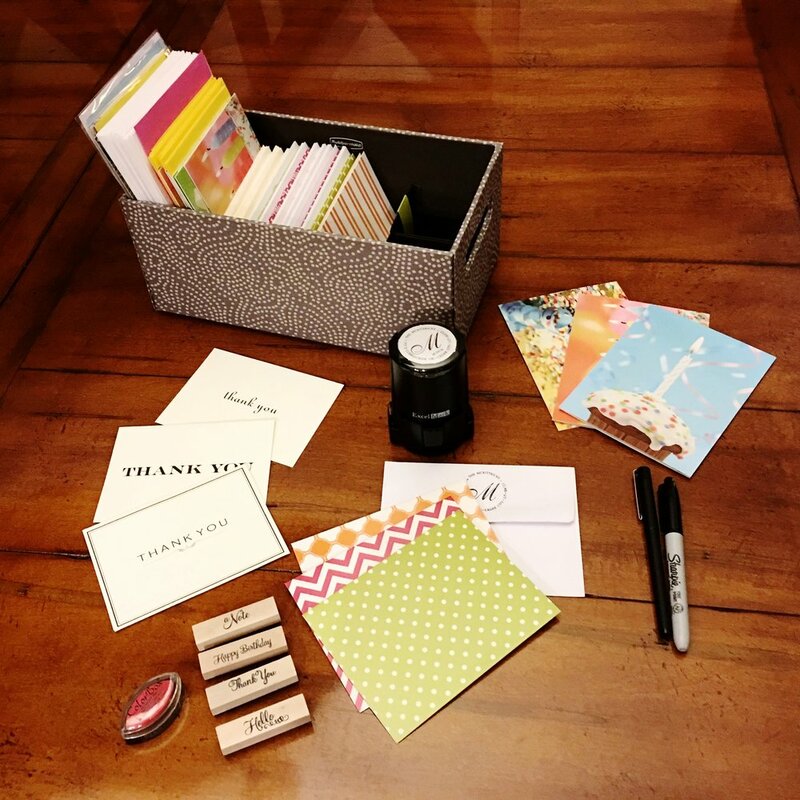 For the kit above I grabbed the blank note cards, the thank you cards and the stamps from Michaels. The return address and blank birthday cards are from Amazon. I will put the links below. Happy gifting!